This business has been made possible because owners often times sell their notes at a lesser price to immediately get a lump sum amount instead of waiting for small monthly payments. There are many types of cash flow notes out there and one of which are tax lien certificates. Homeowners have their annual obligations. Each year taxes from properties should be settled without fail. 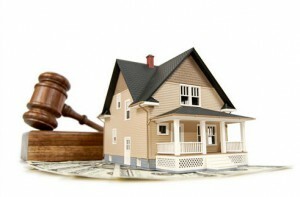 In case of delinquent taxpayers, the county or local municipality will issue a lien to the properties that they own. Think of it as a contract that hinders you from selling or transferring your property to another individual unless the tax lien is satisfied. These tax liens are then auctioned to the public in the form of certificates (thus the name tax lien certificates) or tax deeds and are sold to a price lesser than the original. Purchasing one should be paid in full. Business in tax lien certificates is one great investment so to speak. It is considered as a low-risk investment because it is in the first placed attached to a property. The property would serve as your insurance that the owner will surely meet their commitments because with the tax lien, they could never sell their property. You buy a certificate at a discounted price right? So that’s where you get your profits from. The property owner owes you the original amount but you bought it at a discounted amount. As an investment advice, place your investments with real-estate or property inclined businesses. As of the recent times, real estate has been the benchmark amongst other business industries. Aside from being tangible collateral, properties like houses and lots never lose their value and better yet increase over time. No one is to blame when it comes to debts. The society promotes dependence on credit cards and loans are also rampantly abused. Some may be for just reason and some are for nothing. People tend to spend more than what they earn and they end up drowned in all their obligations. You need to learn that transforming debt into wealth is a possibility. Debt comes with legal documents and this gave rise to cash flow notes. This is how some business-minded individual transforms debt to wealth. They invest on buying and selling cash flow notes or they could also start by brokering at first if they do not have enough funds yet to finance the business. With deep discounts associated in cash flow notes, capitals can easily be converted to great profits. You might need banks or related individuals to help you find sellers and buyers of cash flow notes. You will also need appraisers to determine the best amount where you could profit the most out of your notes.